A few weeks ago I wrote about Golden Wheel-In, the place where I learned to make Philly Steak Sandwiches. Mentioned that co-worker Bruce Clark actually had a website devoted to memories of the place. Bruce and I have been in contact and shared a few more photos. 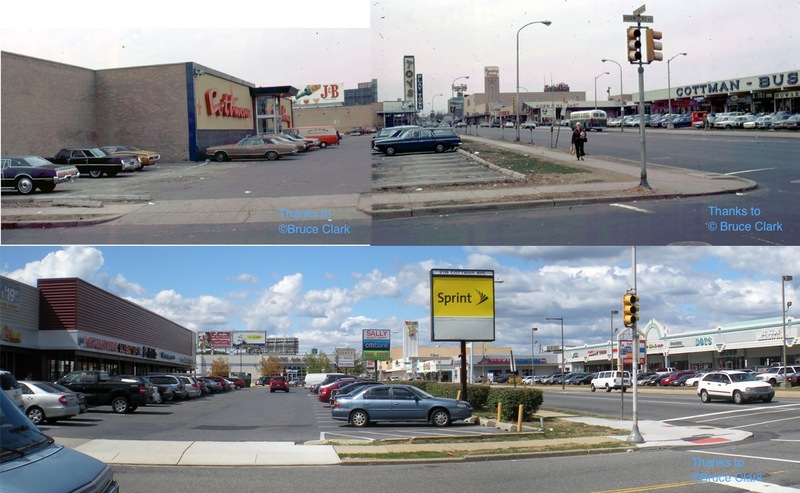 Check out this look at the corner of Cottman Avenue and Horrocks Street in Northeast Philadelphia. 1970's versus now. I won't bore you with details, but I used to bowl in junior leagues at Cottman Lanes (on the left). The "Toys" store was an Acme supermarket in the 1950's & 1960's.